Rizal Day in the Philippines is celebrated on December 30 each year and celebrates Dr. Jose Rizal's contribution to the revolution against the Spanish. 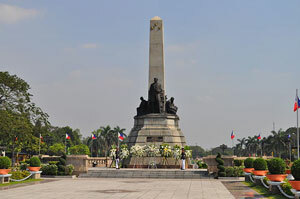 Flags are at half mast and the President of the Philippines puts a wreath at Rizal's Shrine in Rizal Park, Manila. Most people spend time with family and friends enjoying the day off. This day is a national holiday with most government offices and businesses closed. Jose Rizal was an ophthalmologist and a writer who wrote the books "Noli me Tangere" and "El filibustering" that exposed the Spanish for the harsh rule and human violations against the Filipino people. He was eventually arrested, convicted and executed by a firing squad on December 30, 1896.